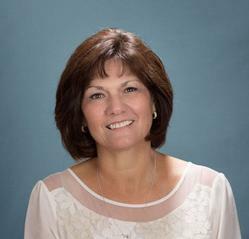 You don’t want to miss this amazing hands-on class with Joyce Hughes! Joyce is an amazing award winning fiber artists that uses her domestic sewing machine to create breathtaking fabric panels and quilts using raw-edge appliqué, thread painting and other various embellishment techniques. During the class she will walk you through the process of creating a one-of-a-kind piece of art using a domestic sewing machine! Want to learn Dimensional Thread Painting but you think it is too hard. I often hear, “I am not creative and Can my Machine do this? etc., etc., Yes, You are Creative and Yes, you can do this on your Domestic Sewing Machine!!! In this class you will start with a Beautiful Panel to Create a piece of Art! You will learn the proper steps of Dimensional Thread Painting and find it to be a fun and creative technique. Explore the various thread selection, setting up your machine for stitching techniques with free motion quilting of zig zag and straight stitching, bobbin work and embellishing with netting and crystals. See the fabric come to life as you sew and layer the threads on top of your design. You will use Thread as Paint –sew with different types of threads and color combinations. Learn how to create interesting texture and dimension to your quilting project. You will leave with a full knowledge of Dimensional Thread Painting and create a One of Kind piece of Art! Techniques Taught: Free Motion Quilting, Dimensional Thread Painting, Overlay Application, Chrystal Embellishment and Bobbin Work and More! Everything is provided for you! You just show up and have fun!! Joyce is an Award Winning self-taught quilter and fiber artist. Her first quilt was a tee-shirt quilt, which she enjoyed making, but felt limited in the ability to express her artistic capabilities. 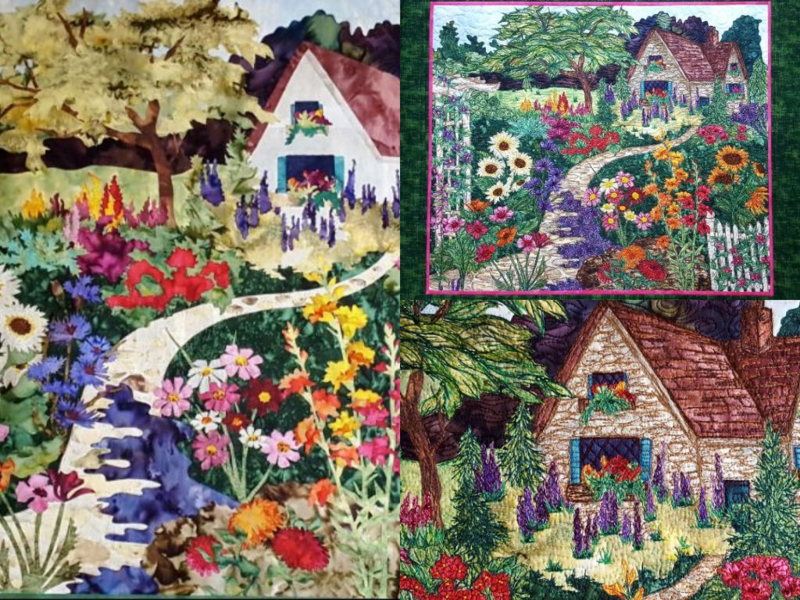 Within several months, she began to design pictorial landscape quilts using raw edge applique, thread painting, and a variety of embellishments. Never knowing the “rules” she broke a lot of them, but with exciting results! Amazingly, her first art quilt, “Mother’s Day”, was entered into a National Show and won a Blue Ribbon. This has led to numerous awards, recognitions and opportunities in the quilting world. One Proud accomplishments of Joyce’s, in October, 2012, she was selected as “McCall’s Quilt Designer 2012 – Professional Category” for McCall’s Quilting Magazine. Currently, Joyce has a new book, “Creating Art Quilts with Panels” –working with Fabric Panels to create dimension and texture with threads and embellishments- Creating a style of her own! Joyce loves to teach and share her tips. One of her Greatest accomplishments is when a student creates their own Art work following Joyce’s technique of Dimensional Thread Painting!